It's a New Year and a New Semester! 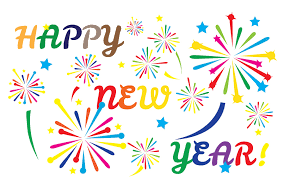 Happy 2019 to all Pacer families! It's a new year and a new semester at USC Aiken. Students have a unique opportunity to begin (or begin again) with a "clean slate." It's never too soon to think about internships and career opportunities. All students are welcome at the Career Services office and encouraged to attend the upcoming Career Fair on Feb. 20. Encourage your student to get tutoring at the beginning of the semester, especially if they had academic struggles in the fall. Tutors are ready and waiting (see below)! Everybody makes mistakes, and we learn from those experiences. Nobody is perfect, right? Help your student become (and remain) resilient. A great reference book that addresses this and other college parenting topics is Don't Tell Me What to Do, Just Send Money, by Johnson & Schelhas-Miller. New Year --- New Adventures! College should be an exciting chapter in students' lives. Encourage your student to investigate leadership, health, and development opportunities in student life. Students are welcome to stop in the Student Life office in the Student Activities Center to get information on organizations, community service, intramurals, and more! Thank you for reading the newsletter. If I can be of assistance as you support your student, please don't hesitate to contact me. To help students and families be informed, aware, and prepared, please read and act on the safety information provided. 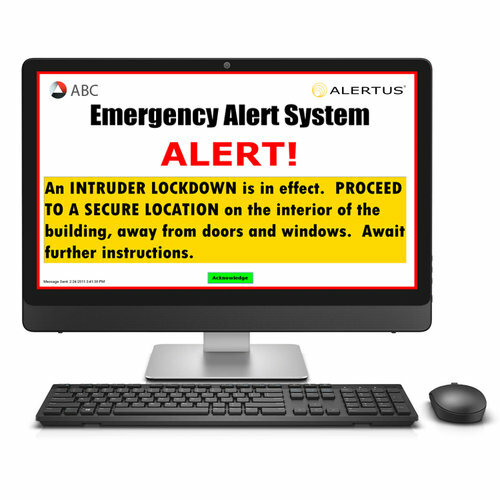 Students should download the Alertus app to their smartphone or tablet to receive notifications for the USC Aiken campus. They will enter usca (all lower case) when asked for Organizational Code and must use their usca email address. ﻿Parents and Families should go to www.getrave.com, enter USCA in the "Enter Your Site's Name" section. Select the University of South Carolina Aiken; click the REGISTER button, and follow each step to enter information, including name and mobile phone number. Complete all steps to register. Part of the student college experience is learning what academic resources are available to help achieve academic and professional goals. Once aware, students must take the initiative to utilize those resources. 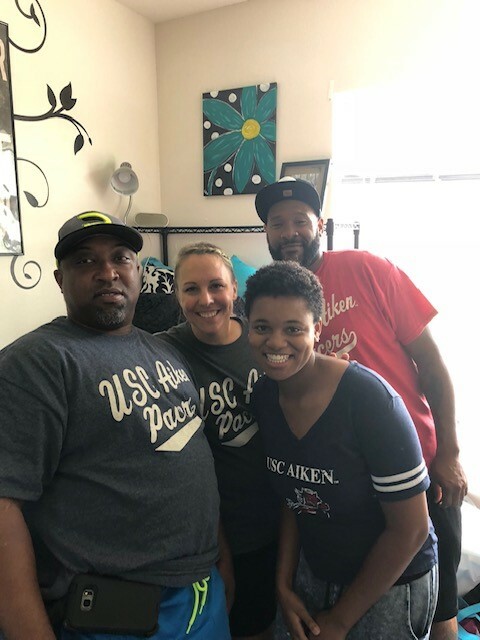 Faculty and staff at the Gregg-Graniteville Library and the Center for Student Achievement (CSA - located in the library) are standing by to help your USC Aiken student! Students benefit from FREE tutoring at the CSA. Conversely, students who are proficient in a subject may submit an application to become a paid tutor. (Interested students should inquire at the CSA for details.) USC Aiken also offers free workshops and tutoring in the Writing Room and Math Lab. We want USC Aiken students to fulfill their academic and professional goals. The Center for Student Achievement coordinates advisement for all students so goals are identified and dynamic coursework can be devised. Whether a student lives at home, in an apartment, or on campus, they have online access to library resources. Students can electronically book a quiet study room for themselves or for study groups. Students can electronically chat with a librarian every day and most nights. They can also email library staff or make an appointment. Click here for library hours. Students receive the above information during orientation, and faculty encourage students to take advantage of library and CSA assistance throughout the year. We want our readers to know about these programs, too, so you can refer students when necessary. Thanks! 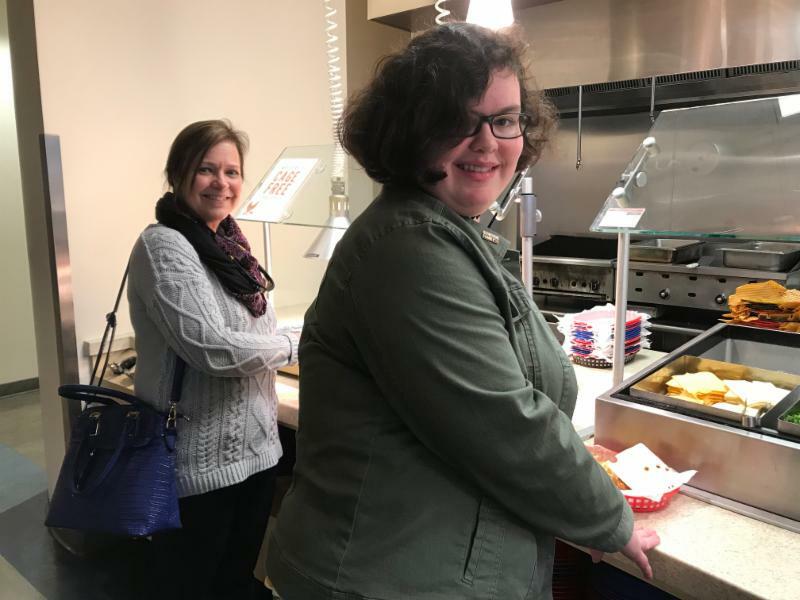 Transfer student, Natasha Flores and her mother, Liesl DeSevilla, enjoy lunch in the Pacer Cafe during New Student Orientation. ﻿Welcome to all of our new Pacers! It's Time to Complete the FAFSA! Your student may not be able to go back to kindergarten (see cartoon), but s/he can complete the 2019-2020 Free Application for Federal Student Aid (FAFSA) . It is available NOW! Students and parents (as applicable) will need their FSA ID and 2017 tax information on hand. We highly recommend using the IRS Data Retrieval Tool on the FAFSA to easily and accurately provide tax information. For specific questions, please contact the financial aid office at 803-641-3476, and have your student's VIP or USC ID number handy. For security purposes you will be asked to verify the last four digits of your social security number. The priority deadline to submit the FAFSA is March 1. Please note that USC Aiken is committed to working with any student who may be impacted by the government shutdown. Students with questions are encouraged to contact the USC Aiken Office of financial aid at the above number. Parenting commuter college students has its own set of challenges. You want them to be independent and successful, but you may be tempted to consistently ask for help with household chores and child or elder care. As much as possible, give your student the time and freedom to enjoy the college experience as much as a residential student. As author Harlan Cohen points out in his book, The Naked Roommate: For Parents Only, "Not taking advantage [of campus activities] would be the equivalent of staying at a hotel and paying a resort fee but not using the resort." A financially beneficial way for commuters to stay engaged is to get an on-campus job. This would earn them gas money and also provide opportunities to make friends and gain work experience. For more tips on parenting a commuting college student, click here. Martin Luther King, Jr., Celebration! If you would like to attend this event with your student, click here for details. Mark your calendars and plan to visit your student at USC Aiken on Family Day, Saturday, Sept. 21. We will offer activities to enhance your visit, and you can extend the fun by attending Octoberfest in downtown Aiken that evening. Thanks to parent, Janeen Weber, for sending us this great Pacer family photo! If you have a high resolution (1MB or greater) Pacer family photo that you would like to share, please send it to sandyt@usca.edu. Thanks! Free Flu Shots - It's Not Too Late! 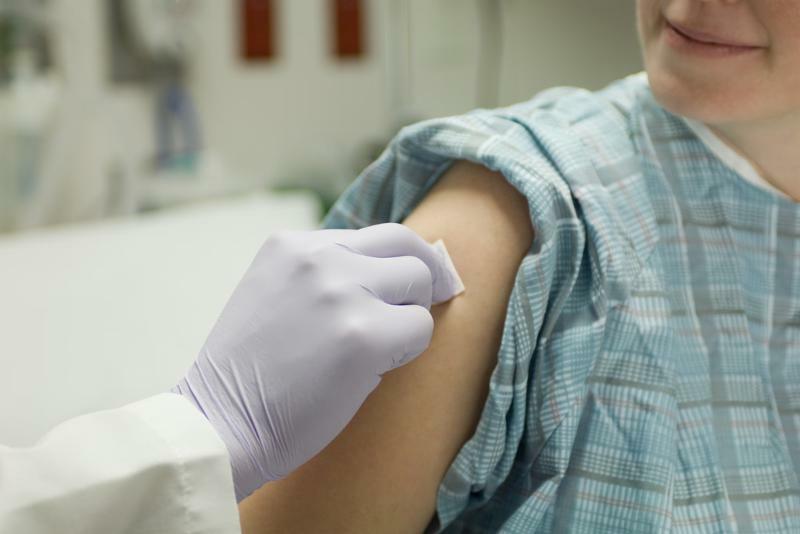 Current USC Aiken students can bring their university IDs and get a free flu shot at the Student Health Center (SHC), SAC Room 106, near Starbucks. The SHC opens at 10 a.m., and accepts the last patient at 3:30 p.m., Monday - Friday. The best time to get the shot is from 10 a.m. – 2 p.m. No appointment necessary.